Vitkin have never bothered with very obvious wine grapes. Their claim to fame has always been their Carignan and Petit Sirah. 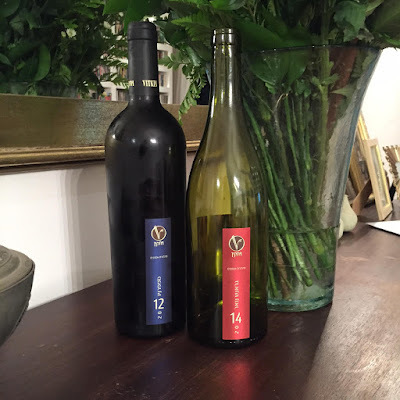 Over the the last couple of years, they've added a few more varieties, which are also off the beaten path in Israel and which expand on the Vitkin house style of characterful wines that eschew excessive polish and go for a funky punch. * Galil Mountains also makes a Grenache, which I haven't tasted, but it's not designed to be or marketed as a premium wine, as far as I know.